Originally posted on our Facebook Page 26th November, 2014. It worked!!! Now this is the cheats version of liquid hand soap. I will work on one “from scratch” once this is all gone. I was experimenting with a craft recipe the other day that ended up being a big flop but it gave me this idea. It’s very simple and only has two “ingredients”. I prefer body wash and liquid hand soap over a block of soap so if you look in my bathroom cupboard you will find an abundance of soap bars from gift packs I’ve received over the years. I’ve tried this with both the creamy soaps and also the clear glycerine type soaps. They both work well. My preference for making this is clear Body Shop soaps or creamy Lush soaps. Today I used Lush’s “Honey I washed the kids soap“. This is such a cost effective idea also. It’s $6.95 a block. This makes just over two liters of hand soap. Bargain! The Body Shop soaps are approximately $4.95 a bar. It would be even cheaper with groccery store bought soaps. You can add colouring and essential oils but I find the soap has enough of a scent that I don’t need to. I also like the natural look to it so haven’t add colouring. These would make a nice gift in a Christmas hamper along with some of my scrubs. This also doubles as a body wash too! Blitz soap bar on speed 5, slowly working up to speed 8 until fine. Melt at 80 degrees, speed 2 for 2 minutes or until melted. Some people find they need to increase the temp and speed slightly. If its not melting increase to 90 degrees, speed 3. Add a little of the water to help the process. Continue to mix at 80 degrees, speed 2 whilst pouring water slowly in to the bowl through the hole in the lid. Continue to mix for 2 mins or until nice and smooth. It will look like milky water. Don't panic like I did. I almost threw it out thinking I put too much water in. Pour into a big bowl. Now leave it for the day. As time goes on it thickens. Just keep giving it a stir every hour or so. Its not essential to stir hourly, just regularly. I bottled mine after approximately 12 hours. Keep any extra in a bottle in a cool dark spot until needed. Thin with a little water if needed. What a fabulous idea! 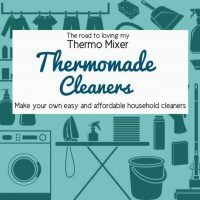 I love that you can make your own stuff for cleaning clothes and bodies! 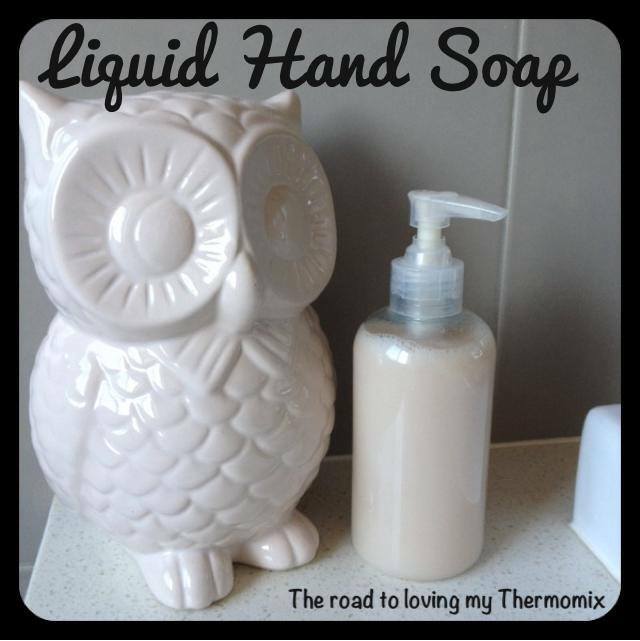 I can’t seem to find the recipe for the liquid hand soap – has it been posted anywhere? 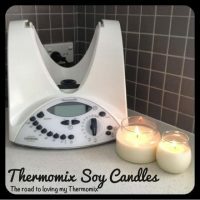 I would love to try this but I haven’t had my Thermomix very long, and am not sure where to start, or how to go about it. Thanks! I was wondering where to find the recipe for this liquid soap? I can’t seem to find it anywhere. Just updated it this morning. If you have any problems let me know. Apologies. Is it 8 cups of water or 8 MC (the lid of Thermomix)? Seems like lots of liquid? I had a big day of de-chemicalising my house yesterday. 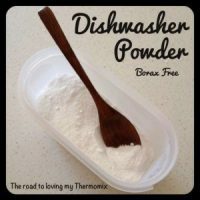 The washing powder turned out great. However my liquid hand soap is giving me troubles! I used fragrance free goats milk soap as my DD has very sensitive skin. I stored every 45 min to an hour. Then all of a sudden it solidified. I put it back and re melted and tried it again with more sitting but it’s done it again and is lumpy and sort of like porridge. 🙂 What can I do?? I find goats milk temperamental from what the feedback I have received. Some have great success but others don’t. I haven’t worked with it so I am unsure sorry. If it goes lumpy I just blend and that seems to sort normal soap out? Made this yesterday. It did gellify but I mooshed it up again in the Thermy. I also added eucalyptus oil. The soap I used was plain Velvet, which I also use for making washing powder. Now I need to buy a couple of dispensers for kitchen and bathroom. Excuse for shopping! Really pleased with it. Thanks for this, I can’t believe how much it made and simple it was. 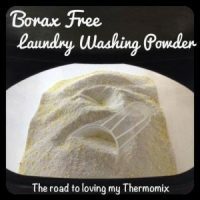 It got a bit lumpy, but followed your advice, whizzed it up a bit more added a bit more water – I don’t think I need to buy anymore hand wash for the rest of the year! All from one bar of soap and some water – thanks so much for your fantastic website and awesome recipes.